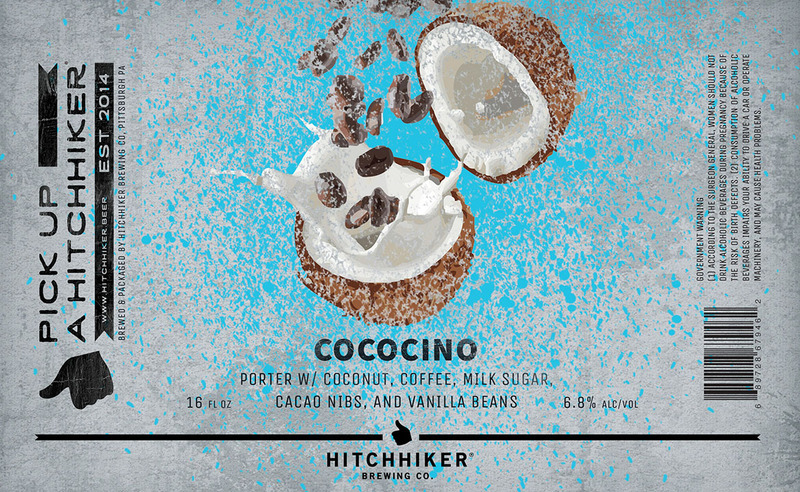 Cococino | Hitchhiker Brewing Co. Brewed with milk sugar. Conditioned on Mexican coffee from 19 Coffee Company. Notes of coffee, chocolate, coconut, and vanilla.